Latest vs. Greatest looks at directors, actors, actresses, screenwriters and composers to assess the state of their career as it stands. We’ll look back at the latest 10 movies the artist has done, rate them and then average them out to see where they stand today. We’ll also rank their 10 greatest movies and give them the same treatment to compare what they have been doing to their very best work. (A quick side-note: if an artist is/has been a regular on a TV show we’ll also grade the seasons individually; artists need 10 projects to qualify). With all due respect to James Earl Jones, I believe that Morgan Freeman has passed him for BEST VOICE EVER. Freeman’s deep tones, dripping with gravitas are welcome whether they’re narrating a VISA commercial, the plight of penguins in the Arctic or from his mouth as continues to be one of the best actors in modern cinema. Freeman got his start in features late, working primarily on TV since his first job in 1964 on Another World through the 1970s, appearing on a number of programs, but most famously and endearing to those of my generation, Freeman was a part of the cast of one of the most original children’s educational programs ever filmed: The Electric Company. Freeman would stay with the show from 1971-1977. His transition to the big screen really didn’t begin (though had appeared in the odd film) until the very end of the 1980’s when Freeman was over fifty! He received his first Oscar nomination of six for Street Smart in 1987. He appeared in 1988’s powerful Clean and Sober and then in 1989 exploded. He was the powerful principal cleaning up the impossible school in Lean on Me. 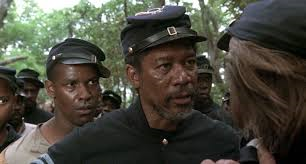 He was the wise voice of reason for the men of the 54th Massachusetts in, what I believe, is the best film made about the Civil War: Glory. 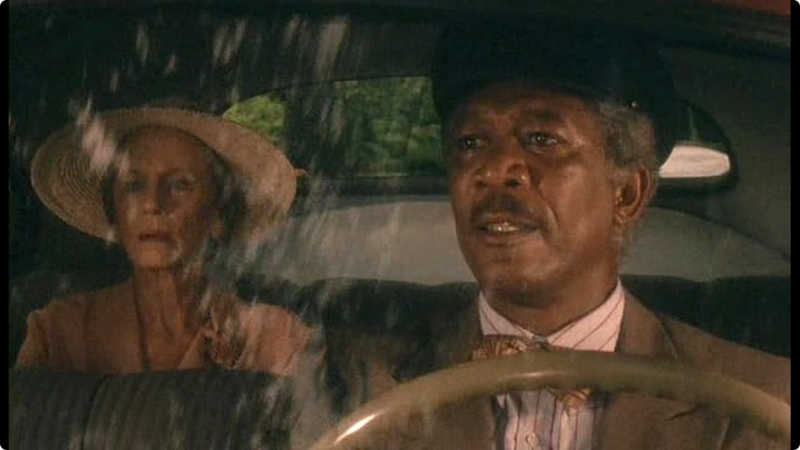 Most famously, though, he was Hoke, the driver in Driving Miss Daisy. Freeman was nominated for another Oscar and the film took Best Picture. 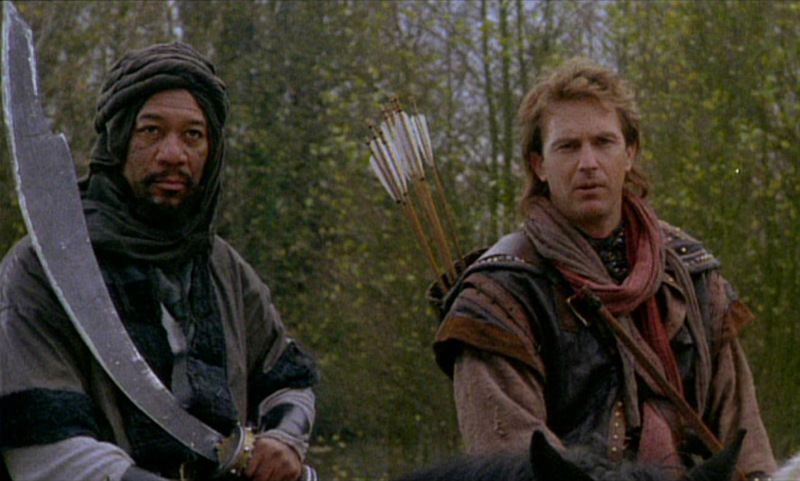 After playing my favorite addition to the wildly campy Robin Hood: Prince of Thieves (He’s Robin’s Muslim sidekick from the Crusades just like in the book….hmmm..what?…. the heck you say? Next you’ll be telling me that there’s no crazy witch and Robin Hood is NOT from Iowa? Ok, now I’m just confused). 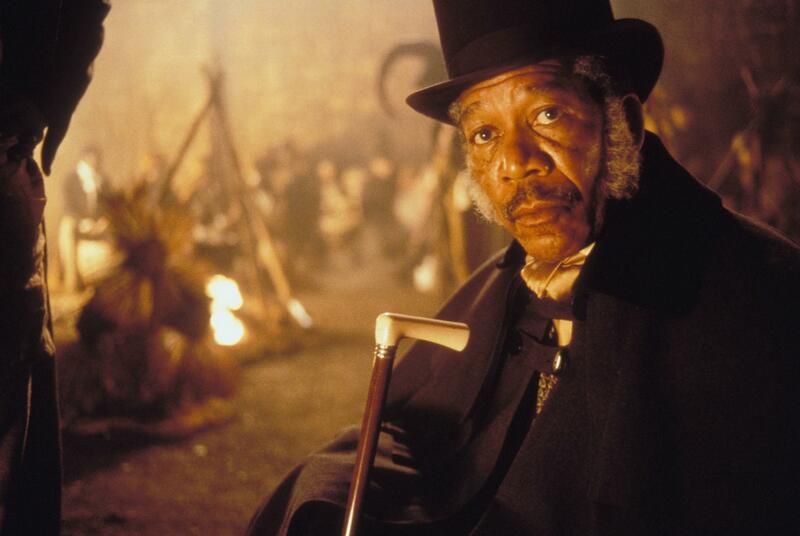 Freeman in 1992 participated (and was robbed of a nomination for) the greatest Western in modern times: Clint Eastwood’s Unforgiven. As Bill Munny’s best friend and conscience, his vicious end (spoiler) in many ways strips Eastwood’s character of his remaining shackles of morality and brings the film to its bloody climax. 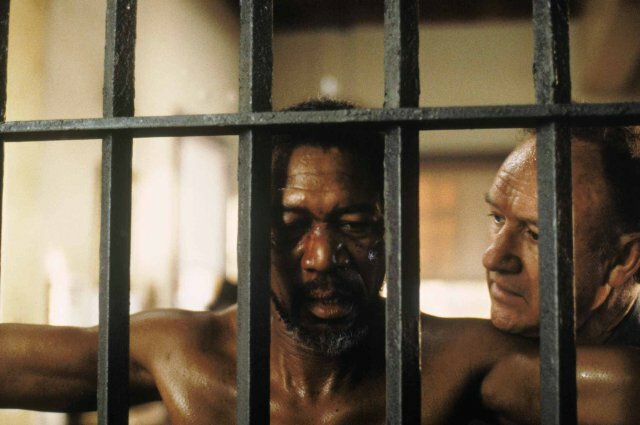 Gene Hackman gets all the plaudits for that film, but Freeman was just as integral a part of the ensemble. 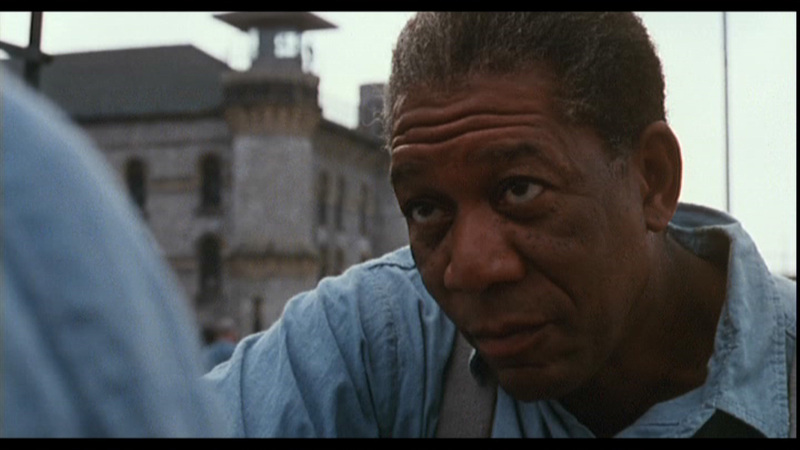 The IMDB 250 lists 1994’s The Shawshank Redemption as the greatest motion picture of all time. I don’t know that I’d put it at the very top….but I wouldn’t have it far from it. Coming out the same year the Forrest Gump-fever took the nation, Shawshank was unfortunately overlooked for most awards (though Freeman did get another Oscar nomination). In the 20 years since, though, Shawshank has grown in prestige and popularity until it’s hard to find anyone who doesn’t list this tale of friendship and hope in the most brutal of places among their favorite films. This is my favorite Freeman performance. When I think of his body of work, the first character of his that comes to mind is Red, either throwing the ball in the yard or walking down the beach at the film’s end. In the following few years, Freeman would co-star with Brad Pitt in the chilling film that made David Fincher’s name: S7ven, the very underrated pandemic film Outbreak with Dustin Hoffman and co-star in Steven Spielberg’s flawed but still-powerful Amistad. 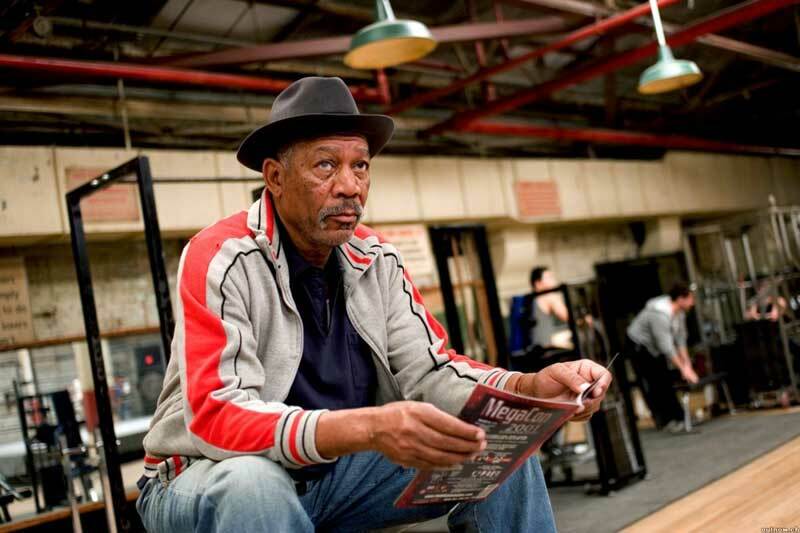 Freeman’s fifth Oscar nomination was the charm and remains the only win he’s ever had (criminally, he’s never won Best Actor) picking up a win for Best Supporting Actor in Clint Eastwood’s Million Dollar Baby. I have major issues with this film. I think I outlined most of them in Clint Eastwood’s profile and you can check them out there, but I do NOT have any problems with Morgan Freeman. 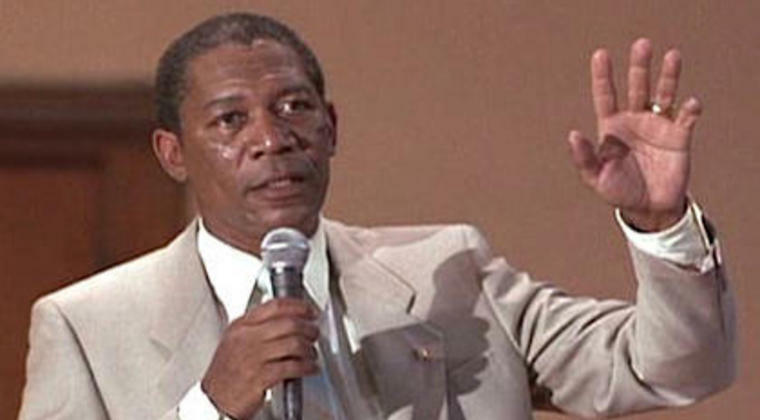 I don’t think I have EVER had a problem with a performance from Morgan Freeman – even in a bad movie. He elevates everything he’s in by his mere presence in it. That’s how you can tell the great ones from the merely good. He makes everything and everyone around him better just by his presence. 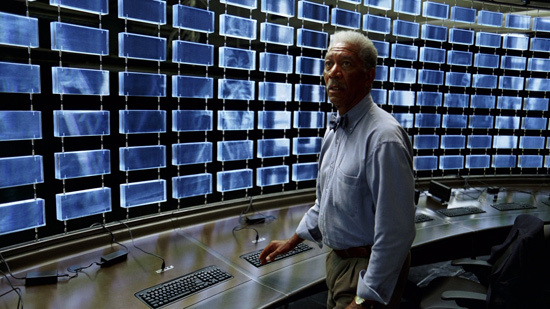 A perfect example of Freeman raising an ensemble is his participation in Christopher Nolan’s peerless Dark Knight Trilogy. 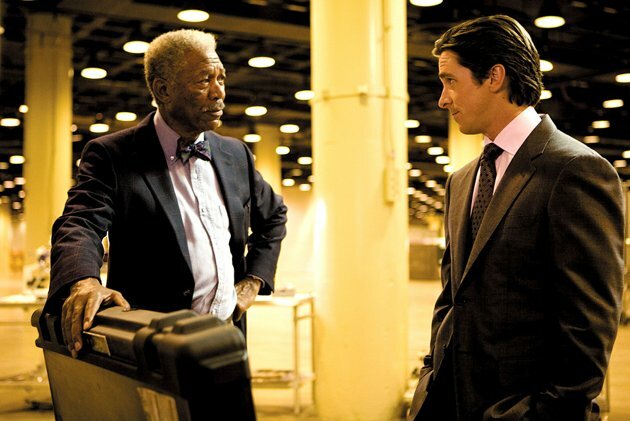 They could have gotten a lot of actors to play Lucius Fox (Batman’s Q, more or less), but sticking Freeman in the part gave it what Freeman always gives everything: gravitas. Nolan strived to make Dark Knight as realistic as possible and as grounded as possible and wisely casting Freeman in a minor, but memorable and pivotal role in all three films was a masterstroke. 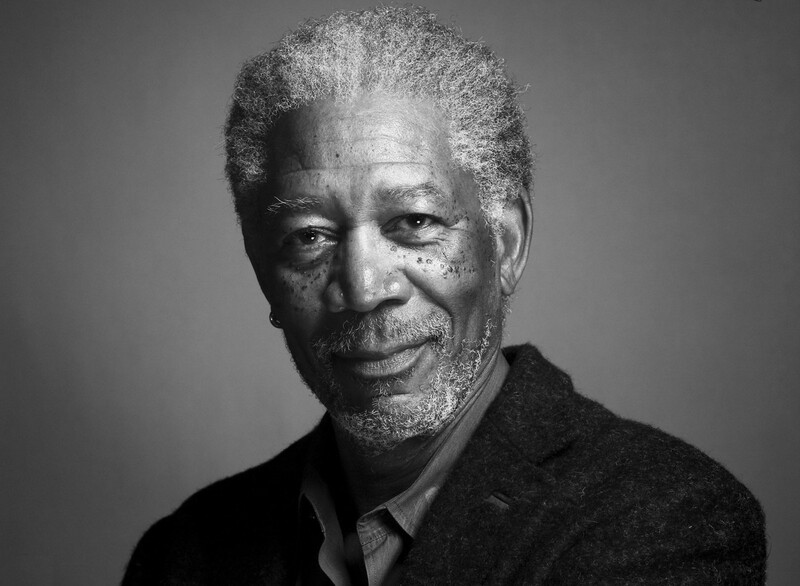 Morgan Freeman’s latest Oscar nomination was in 2008 for his portrayal of former South African President Nelson Mandela in Clint Eastwood’s Invictus. So few (and I haven’t seen Idris Elba’s take yet so I can’t compare) could even step into the shoes of one of the most revered men in modern times and make you forget that an actor is playing him, but Freeman pulls off the feat effortlessly. It’s one of my favorite performances he’s given. 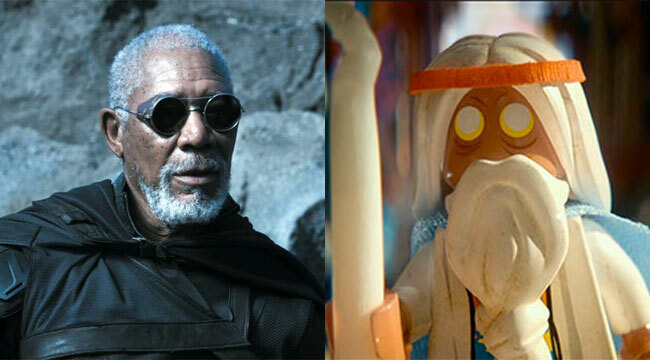 Freeman’s done a lot of fun but forgettable movies lately (Magic of Belle Isle, Last Vegas, Oblivion) mixed with the conclusion of The Dark Knight Trilogy, his hilarious voice work in this year’s The LEGO Movie and last year’s underrated and tons-of-fun Now You See Me. His average is the second highest (behind Robert Downey Jr.) of the actors we’ve examined and I think that’s certainly an offshoot of what I was talking about earlier. Freeman raises average films to good, good to really good and really good to great. Freeman’s career score is also the second-highest (Tom Hanks) of any actor profiled yet, which is astounding when you consider that his career started so late. You could argue about the order, but that Freeman has at least 10 films of darn near perfect quality is undeniable from his resume. Freeman will next star with Scarlet Johansson in Lucy later this month and has The Last Knights and We the People also on his 2014 plate before he returns to the one really bad movie he’s made in the last ten, Olympus Has Fallen, for its sequel: London Has Fallen (whyyyyy?). Many actors are very good. Many actors show flashes of greatness from time-to-time. 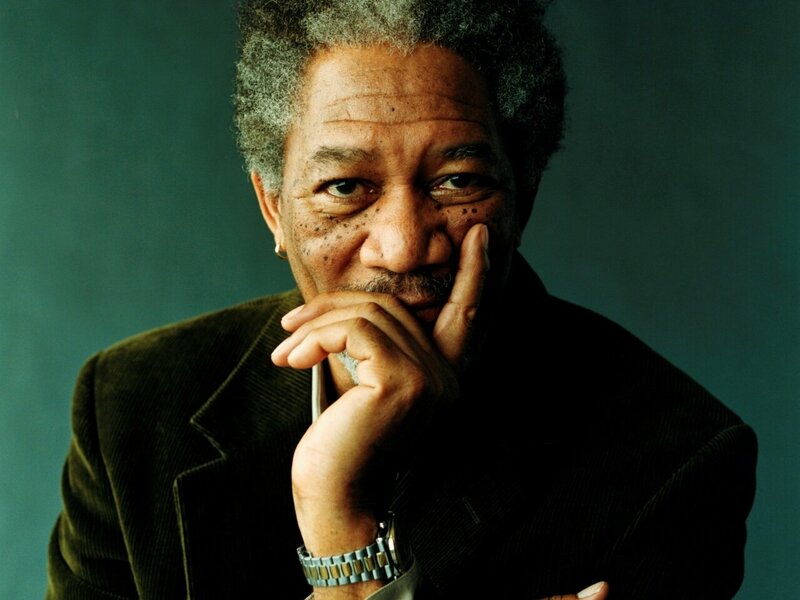 I don’t think there’s anyone in Hollywood who brings more to the table by his mere presence than Morgan Freeman. He’s still working like a young man, too, so I wouldn’t count out the possibility of a few more perfect 10’s from Mr. Freeman. In a relatively short career, he’s turned in indelible performances in classic films that will live on long after all of us are gone. I’m not sure whose idea it was to include Freeman’s character in Robin Hood, because it’s not a concept that would have sprung easily to mind. I love that movie. I might have to answer for it someday, but I do. Freeman exudes warmth. Has he ever played an evil character? I wouldn’t buy him as one. Wanted and it was tough. I just flat out love this man. Wanted was Bekmenatov, right? I may have to see it, even if’s a painful experience. I hated the comic but I liked the movie as a guilty pleasure.